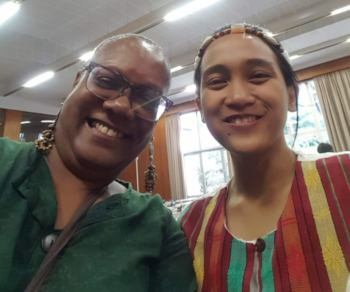 Monica Moorehead, a juror at the tribunal, with Pya Macliing Malayao, a witness representing Mora and Indigenous Peoples. The following testimony was presented at the International Peoples’ Tribunal on economic, political and social crimes against the people of the Philippines. The tribunal took place Sept. 18-19 in Brussels, Belgium. To read about the tribunal, go to tinyurl.com/y9jn8mxq/. I am Pya Macliing Malayao, a member of the council of leaders of SANDUGO, the Movement of the Moro and Indigenous Peoples for Self-Determination. I am also secretary general of Katribu Kalipunan ng Katutubong Mamamayan ng Pilipinas, or Katribu. Katribu is the national alliance of indigenous peoples’ organizations in the Philippines. It was founded in 1987 in response to escalating violation of our collective rights to our ancestral lands and self-determination. I am an Igorot from the Bontok tribe in Mt. Province. Under the US-Duterte regime, I was a victim of attempted murder and illegal arrest during the violent dispersal of a protest action by Moro and indigenous peoples in front of the US Embassy in Manila demanding an independent foreign policy. Just to give a brief introduction on the Moro and indigenous peoples in the Philippines: The indigenous peoples comprise approximately 15 percent of the country’s total population. They are composed of more than 100 major groups, a majority of which are in Mindanao, collectively called Lumad; the rest are in different parts of Luzon and the Visayas. The Moro people are 13 ethnolinguistic groups in the Philippines, most of whom embraced Islam and fiercely resisted Spanish and US colonialism. They comprise five percent of the Philippine population and are found mainly in Central Mindanao, Basilan, Sulu and Tawi-Tawi. The Moro and indigenous peoples face the distinct problem of national oppression, the systematic and institutionalized denial and violation of our right to self-determination — to freely pursue our social, economic and cultural development and determine our political status. National oppression instigated by the state and the ruling elite includes the historical denial of our territorial rights; misrepresentation and subversion of our socio-political systems; institutionalized discrimination; Christian chauvinism, and Islamophobia; commercialization of culture; social neglect or denial of basic services; and fascist attacks and militarization. We have been asserting our right to self-determination for decades by defending our territories and continuously developing our economic, political and cultural systems. 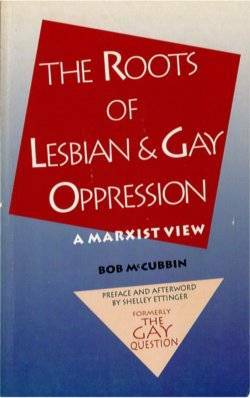 We have launched legal mass struggles for self-determination and national democracy, as well as armed struggle. We use our traditional defense systems and participate in the armed resistance for self-determination waged by the Communist Party of the Philippines, Moro Islamic Liberation Front, Moro National Liberation Front, Bangsamoro Islamic Freedom Movement and even rising extremist groups. Under the prevailing neoliberal economic policies, the territories of Moro and indigenous peoples are encroached by big foreign corporations, bureaucrats, local businesses, and the government itself. Among the ancestral territories targeted by the U.S.-Duterte regime are the Andap Valley; the mountain ranges of Pantaron, Daguma, Zambales, Sierra Madre, Cordillera, the Liguasan Marsh; and indeed the entire Bangsamoro homeland. This has led to further destruction of our sacred ancestral sites, poverty, displacement and loss of our ancestral territories. To ensure full control over these ancestral territories and their resources, President Rodrigo Duterte continued implementing the U.S. war on “terror” against the Bangsamoro and indigenous peoples. He expanded the counterinsurgency programs of past regimes through Operation Plan Kapayapaan, a program patterned after the U.S. Counterinsurgency Guide. Following the dictates of the US imperialists, the Duterte regime has committed to support Operation Pacific Eagle Philippines, a U.S. counterinsurgency program that also targets the Bangsamoro. The Duterte regime further intensified its repression of the Moro and Lumad by its all-out war and martial law in Mindanao. The Duterte regime continued the National Internal Security Program Application on Indigenous Peoples and the Indigenous Peoples Centric Approach in its counterinsurgency program. These focus in particular on the role of indigenous communities in neutralizing insurgency in the countryside. By “neutralizing” our communities, the Armed Forces of the Philippines hopes to cripple the expansion and mobility of the New People’s Army in remote areas. Duterte takes an interagency approach by actively involving government agencies in the counterinsurgency program in specific regions and on the national level, including agencies on the indigenous peoples, social welfare, education, justice and others. Duterte exploits traditional culture and defense systems to augment the state’s armed forces and its counterinsurgency operations. The communities and territories targeted for counterinsurgency and economic programs are severely affected by militarization. Among the strategies employed is the recruitment of indigenous peoples into paramilitary groups, especially in the Lumad communities in Mindanao. These paramilitary groups sow terror, divisiveness and disintegration of traditional socio-political structures in our communities. Other manifestations of the counterinsurgency program focused on indigenous peoples are the filing of trumped-up charges against indigenous community leaders; destruction of community livelihood and facilities; and forcible closure of Lumad community schools, which express our right to self-determination. Threats and harassment are made against teachers, parents and students. On Sept. 5, 2017, Obello Bay-ao, a Manobo youth leader and grade-7 student at the Salugpongan Lumad community school, was killed by paramilitary group members who were recruited, armed and trained by state forces. When we organized an action demanding an independent foreign policy in front of the U.S. Embassy in October 2016, the police dispersed our protest because they didn’t want to be embarrassed before US embassy officials. Just as a police mobile unit wantonly mowed down dozens of Moro and indigenous peoples during that brutal dispersal, the Duterte regime ruthlessly tramples on the rights of the Moro and indigenous peoples. Duterte’s all-out war, war on “terror” and imposition of martial law in Mindanao have resulted in massive violations of the Moro and indigenous peoples’ rights and international humanitarian law. Among the reported cases are 67 victims of extrajudicial killings, 27 bombing incidents affecting 353,988 individuals, 58 incidents of forced evacuation affecting 401,582 individuals, 140 incidents of attacks on Lumad community schools, forced closure of 70 Lumad schools affecting more than 2,600 students, and hundreds of victims of illegal arrest, detention and filing of trumped-up charges. The siege of the city of Marawi has resulted in the devastation of the principal center of the Moro people, causing their diaspora into other regions and loss of their cultural heritage. Other Moro communities are consistently militarized under the Duterte regime. From July 2016 up to the end of May 2018, at least 15,757 evacuees have been reported in the province of Maguindanao alone. U.S. imperialism under President Donald Trump actively supports the fascist Duterte regime by providing orientation, training, funds, arms and intelligence information to state forces. It also provides direct military intervention under the cover of one-sided treaties with the Philippine government. The U.S. government has extensive economic and geopolitical interests in the territories of the Moro and indigenous peoples. These areas host U.S. military camps, multinational oil exploration in the Sulu Sea and Liguasan Marsh,and foreign energy projects, mining and agribusiness plantations. Trump said during his visit in November 2017 that the Philippines is “the most prime piece of real estate from the military standpoint.” On August 31, the U.S. reaffirmed its support for Duterte’s war on “terror,” martial law and Oplan Kapayapaan by saying that the “U.S. Special Operations Forces will continue to assist the Armed Forces of the Philippines in Mindanao through support that helps AFP commanders in their fight against militants.” US support is to “increase intelligence, surveillance and reconnaissance capabilities” of the AFP. Over the past three years the Philippines has been the biggest recipient of U.S. military aid in the Indo-Pacific region. A recent 10-day series of airstrikes and indiscriminate bombings by the AFP in Maguindanao that was directed by U.S. Special Forces on the ground killed one civilian, severely wounded three and displaced over 7000 Moro people, including 400 children and 50 pregnant women. On Sept. 14, seven Tausug Moro youth farmers were tortured and massacred by the military in Sulu. In addition, Trump’s Muslim Ban in the US subjected our co-chairperson, Jerome Succor Aba, to torture by US state forces in California. The displacement of Moro and indigenous communities — resulting from so-called development programs and fascist attacks against our struggles for collective rights to ancestral territories and self-determination — would ultimately lead to ethnocide, the death and extinction of our lives, culture and identity. The U.S.-Duterte regime is hell-bent on crushing any forms of resistance. Faced with these ethnocidal attacks, the Moro and indigenous peoples are even more determined to heighten our struggle for our collective and democratic rights. The crimes against the Moro and indigenous peoples must stop, and Duterte and the U.S. government must be made accountable.